I must tell you a little secret. I’m a huge fan of the ketogenic diet. Why? Well, I don’t want to go into all of the awesome details about keto, but one of the things I love about it is that it doesn’t make me feel like I’m missing out on food. In fact, there are so many awesome keto recipes out there, that it’s impossible to run out of options. Do you like butter? You get butter. Do you like cheese? You get cheese. Do you like meat? You get meat. With so many options, what do you do? Because I run a weight loss program that centers around the ketogenic diet, I have to experiment with a lot of different recipes to see what will work for my members. It’s amazing what you can do with a little creativity and risk-taking to craft a delicious meal that is low carb and keto-friendly. I could easily make this post 107 Keto Dinners You’ll Love but that is probably going overboard. So what I want to do is share with you the keto dinners that I have no problem making when I find myself in a bind. In America, Sesame Chicken is a staple meal at any Chinese restaurant. I have no idea if it’s actually a thing in China but if it isn’t then it needs to be! 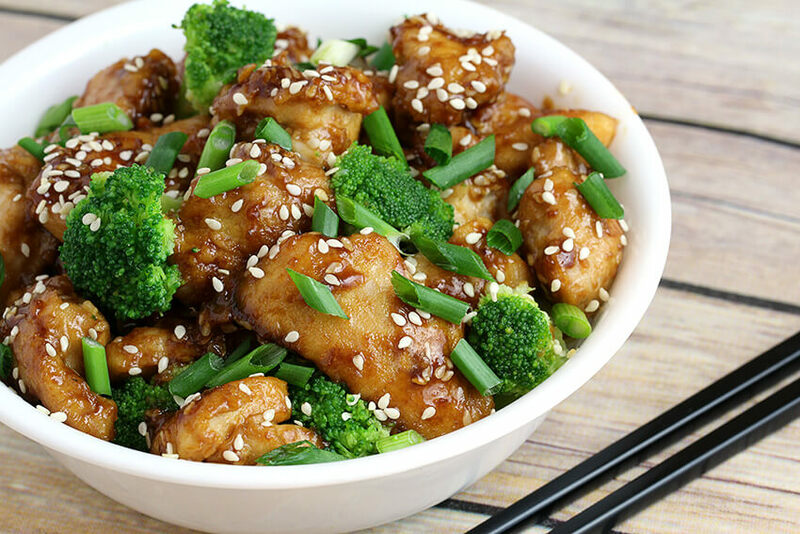 This Sesame Chicken recipe always hits the spot when I’m on the lookout for some Asian cuisine. Taste great and is pretty low on the net carbs. View this recipe on Keto Dash: Sesame Chicken. Image credit goes to Warfield Family. I have a confession, I never had Chicken Cordon Bleu before I tried this recipe. While it is a little more involved than the others it is amazing so it’s worth the effort. Due to the chicken pieces varying in size a little bit the macros might not be spot on for each serving but that’s okay. Nothing wrong with a little more chicken, ham and cheese. 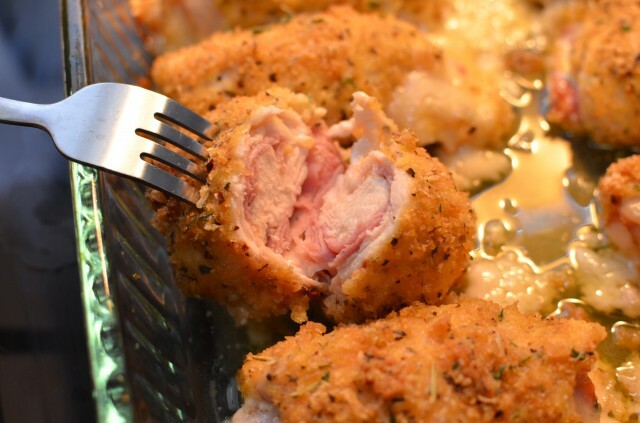 View this recipe on Keto Dash: Oven Baked Chicken Cordon Bleu. Image credit to Caveman Keto. I went through a phase where it felt like I was cooking pork chops every other day. Eventually, you grow tired of them because pork chops always taste like pork chops. That is until I discovered Stuffed Pork Chops! Who knew you could stuff pork chops with whatever delicacies come to mind? Okay, you knew but I didn’t before and now I do. 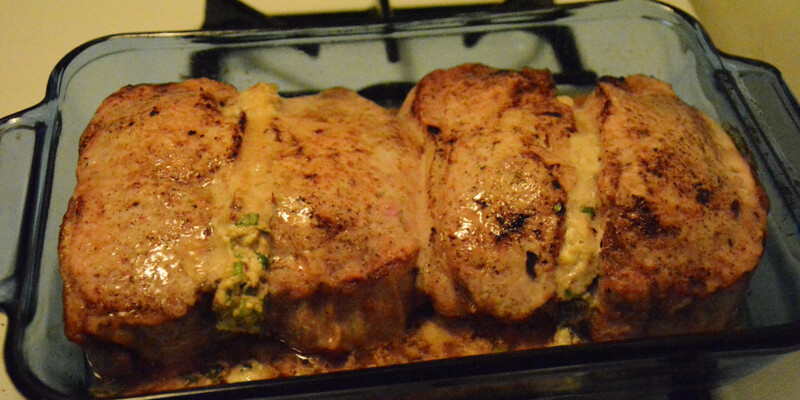 I’m constantly on the look out for other stuffed pork chop recipes. View this recipe on Keto Dash: Stuffed Pork Chops. Eating salads can sometimes be boring. In fact, whenever some people here “diet” they think that they are stuck with salad! That isn’t the case with keto but there is also nothing wrong with salad. You just have to be careful of what vegetables you use since some may contain more vegetables than you imagine. This Asian-inspired salad is to die for. 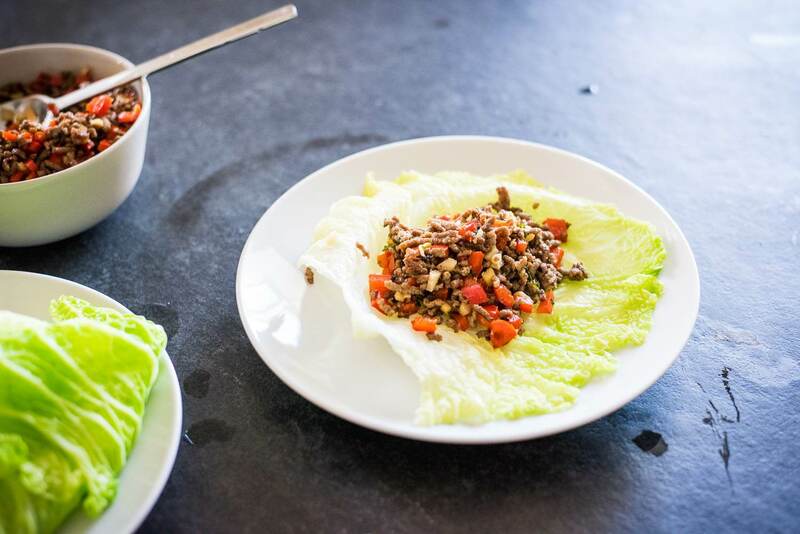 View this recipe on Keto Dash: Thai Pork Salad. If you were to tell me that one day I’d be making pork shoulder I would slap you in the face. No way was I ever going to make pork shoulder. Here I am making pork shoulder. And I’m pretty good at it! Of course, the recipe makes it pretty easy but it’s good to know I can flex my cooking muscles when I need to and there is no protein that I can’t conquer. View this recipe on Keto Dash: Crispy Skin Slow Roasted Pork Shoulder. Image credit goes to Peace, Love, and Low Carb. This is one of those recipes that can serve as a quick snack or a full meal. It’s totally up to you and that is wonderful choice to have in life. What happens in my home is that I’ll prepare a meal that creates 4-6 servings and that means we have leftovers for another day or two and we don’t have to worry about calculating the macros because they are already set. View this recipe on Keto Dash: Cumin Spiced Beef Wraps. I’ll be the first to admit that the name of the recipe doesn’t sound that appealing. I mean loaf is just not an appetizing word. Thankfully, the recipe itself surpasses the name so you are left with something delicious. This is great if you’re really into cheeseburgers. View this recipe at Keto Dash: Ultimate Cheeseburger Loaf. Image credit goes to Butter Is Not a Carb. Yes, we are doubling up on the cheeseburger recipes but there is a good reason for this. This combines a calzone with a cheeseburger! And it’s totally keto-friendly! Obviously, I couldn’t leave a recipe like this off of the list. 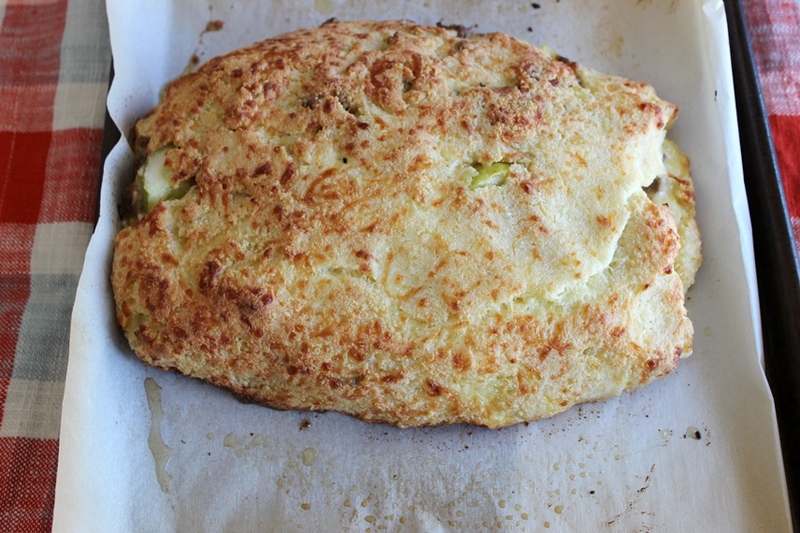 View this recipe on Keto Dash: Cheeseburger Calzone. For some people coffee is everything and anything that isn’t actually a cup of coffee is pretty weird but it works! Look, I can’t explain the science of taste but for some reason when you combine coffee with a ribeye steak something magical happens. Give it a shot even if you’re not a big fan of coffee. If you are a big fan don’t expect it to taste like your favorite Starbucks drink. It’s going to taste like a steak. View this recipe on Keto Dash: Coffee Infused Ribeye Steak. Image credit goes to Caveman Keto. Like I said before, there are 100s if not 1000s of delicious keto recipes you can make so I couldn’t stop at 9. I wanted to throw in a bonus especially since this one uses seafood and my husband loves seafood. 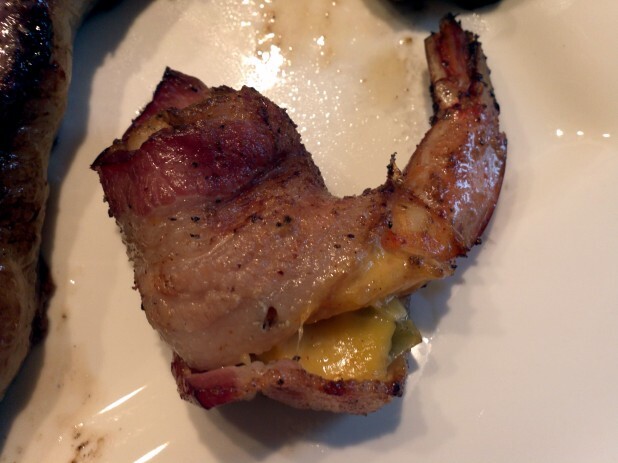 View this recipe on Keto Dash: Stuffed and Wrapped Shrimp. 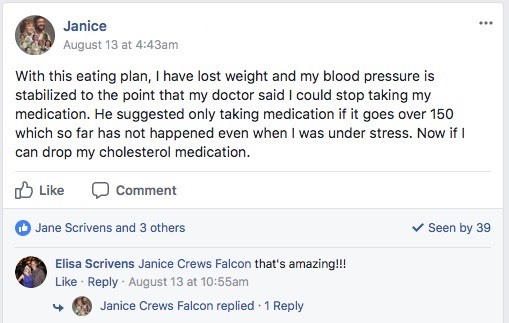 As you can see there is nothing boring about keto. You have an almost unlimited array of options when it comes to meals and it’s not hard to find ones that cater to your tastes. I mean, look at this keto shopping list to see all of the foods that you can eat on the ketogenic diet. If you can’t find a way to craft some delicious meals then I might not be able to help you. If you want to dive into more awesome recipes then check out my database of over 300 keto recipes that anyone can make. 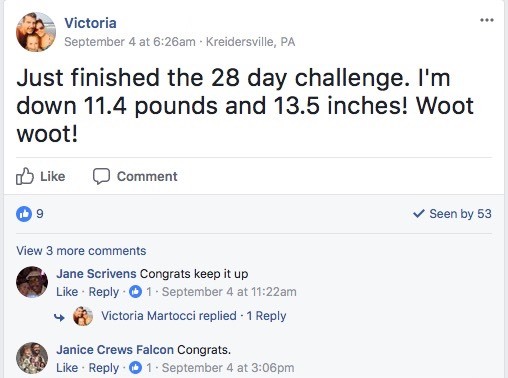 If you want to get some help with the keto diet and some 1-on-1 support from me then check out my 28-Day Weight Loss Challenge. Enjoyed 9 Keto Dinners That Every Woman Will Love to Eat? Share it with your friends so they to can follow the Miss Fit Living journey!